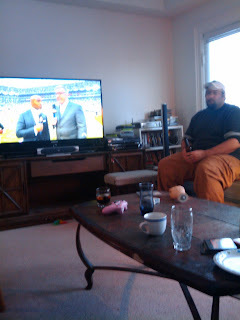 Superbowl party was great. We had tons of food. Hummus, scallop potatoes, smokies, dips, chips, vegs, pork wrapped in bacon... mmm. Game was great, the office was hilarious. Post more piks later.